As one of the nation’s leading specialists in Digital IRA setup and management, BitIRA works with a wide range of customers who wish to reap the benefits of digital currency assets inside their retirement savings portfolio. At BitIRA, we firmly believe that Americans should have access to more choice of assets available within their tax-advantaged retirement account. Therefore, one of our primary goals is to help our customers understand how digital currencies can serve as a powerful tool to achieve their unique objectives for saving for the future, while offering a simple, straightforward path to use that tool effectively. Informed decision making is paramount for growth, profitability and security in your investments for retirement. BitIRA is committed to giving our customers an honest, transparent view of what digital currencies can offer, and how this burgeoning asset class could position your nest egg for long-term benefit. There is no “one size fits all” solution when it comes to your retirement investing strategy. BitIRA works to serve each customer’s unique goals, with respect to the advantages and limitations of their individual situation. Our specialists are well-versed in the benefits of all of the most popular digital currencies, such as Bitcoin, Ethereum, Ripple and Litecoin, and can share with you why one may serve your objectives more than another. Given how new this asset class is, the concept of a Digital IRA as well as the cryptocurrencies that they hold can be intimidating to some. This is why BitIRA strives to make the benefits of owning such investments accessible to anyone. From helping you open and fund your new Digital IRA, to explaining the intricacies of digital currencies and their respective markets, we’re always by your side. BitIRA aims to deliver the highest level of customer satisfaction humanly possible. We refuse to settle for anything less. Regardless of your experience level, investment goals, or familiarity with Digital IRAs, we believe that every customer should receive the same degree of integrity and service that our reputation is built on. In March 2014, the Internal Revenue Service issued IRS Notice 2014-21, which officially declared that for tax purposes, Bitcoin and other digital currencies are treated as property. Due to the rules governing self-directed IRAs, this notice also meant that digital currencies were eligible assets to be held inside IRA accounts. However, creating and managing an IRA with digital currencies was still complex and difficult. BitIRA was founded in 2017 to offer average investors a solution to that problem. BitIRA offers a simple, streamlined process for investors to open IRS-compliant Digital IRAs – where cryptocurrencies can be held and grown under special tax-deferred status. BitIRA has been founded by the team from Birch Gold Group, one of the nation’s leaders in helping Americans purchase physical precious metals for placement in an Individual Retirement Account. Together, our team has over 100 years of experience in placing alternative assets into IRAs, plus a fully-staffed, in-house IRA Department to do most of the heavy lifting for setting up your Digital IRA. We’ve worked with all of the large custodians of retirement accounts, like Fidelity, Edward Jones and Merrill Lynch, so we know how to get digital currencies in your retirement quickly, efficiently and safely. BitIRA prides itself on keeping a firm reputation for quality and excellence. We know your trust deserves to be earned, never given blindly. That’s why we constantly share our customers’ feedback and reviews, while proudly maintaining an AAA rating from the Business Consumer Alliance. We don’t just help others take advantage of the opportunities in today’s digital currency markets; we actively pursue those same opportunities ourselves. As a result, we’re able to offer unique support to our customers that only first-hand experience allows. BitIRA coordinates with industry leading partners for custodial management, asset purchases, digital currency storage and security, and real-time exchange trading. Our core strategic partner is Preferred Trust Company, which acts as the custodian for our customers. 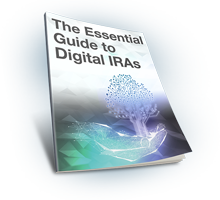 We focus solely on helping investors navigate the often-complex and confusing world of Digital IRAs. Our team helps you every step of the way – from rolling over funds from an existing account, to avoiding penalties, to funding digital currency purchases, to trading inside your new account, and to doing everything possible to advance your personal investment goals. If you’d like to learn more about BitIRA and how we can help you leverage today’s growing market of digital currency assets to further your goals for retirement, contact us to speak with one of our Digital Currency Specialists. They’ll gladly explain our company’s background, the ways we’re serving customers right now, and how we’re uniquely qualified to help you explore the world of Digital IRAs.